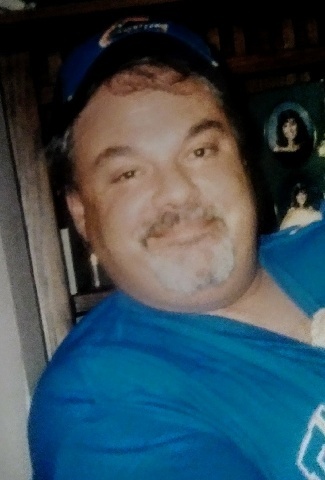 Kerry “Ozzie” Todd Oswald, 55, of Green Cove Springs, FL passed away on February 14, 2019. He was born in Rockport, MO and moved to Jacksonville in 1982. He met the love of his life, Lisa, in 1995; they married on Valentine’s Day in 1996 and moved to Clay County Florida. Kerry found his work family in 2006 for Rulon International and remained a dedicated and loved employee there until his death. Kerry was preceded in death by his mother Rowena Harrington Smith. He is survived by his wife Lisa of 23 years and her dysfunctional family that he inherited the day they married. Brian (Ameila) Moore, Ashley Moore (Lee Bussen), Jesse (Veronica) Moore, Danielle Moore (Nathan Craun), the grandchildren he adored, Logan, Julissa, Jaden, Jesse, Jack, and Madalyn. Other survivors include his brothers, Roger Oswald, Ron Oswald, Kim Smith and father Richard Smith. Memorial Services will be held 6:00 PM Friday, February 22, 2019 in the Chapel of Russell Haven of Rest Funeral Home. This is Lisa, I want everybody to wear their Gator or Jaguar attire or any other football attire to the funeral and blue jeans. Ozzie was not a suit and tie kind of a guy! My memories of Kerry go back to my grade school years and on. He lived down the street from my family and was very protective of my sister and I. As I grew older and became crazy about boys Kerry would warm me about the lines that boys would use on girls. My prayers for his wife, children, grandchildren and all who loved him. A good man gone too soon. God Speed Kerry!